When you print your message in large format color, you’re sure to stand out from the crowd. These oversized prints can be output to white vinyl, view through window vinyl, backlight film, white pop-up films, artist canvas and fabrics up to 52 inches wide by almost any length. They are the perfect choice for retail store signs, trade show booths, color comps, business presentations, courtroom exhibits, point-of-purchase displays and any other short-run projects. Make a big impression with full color signs and banners when advertising your product, service, or special event! These gorgeous, highly visible graphics create a powerful impact, ultimately resulting in more potential customers walking through your doors. With the capacity to feature full color photos and graphics, your message will come to life with detail that is truly larger than life. 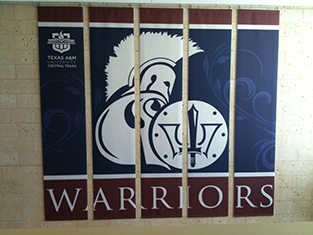 Discover the possibilities for POP displays, banner stands, backdrops, flags and so much more.